Currently in Latvia and Lithuania have increasingly focused on social problems of mentally ill persons, their social rehabilitation and integration into society. The major reforms have begun relatively recently in these fields, for this reason there is still a lack of institutions solving problems of these people effectively in the Programme area. The figures illustrating the extent of the prevalence of mental disorders suggest that the medication to solve the problem is not enough. There are the social inclusions measures needed (social rehabilitation, psychological consulting, work skills recovery (occupational therapy), help for families) that are expected to start after the acute illness period and continue for as long as necessary because this is the way to bring back the person to the society and improve his life quality. 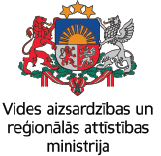 The aim of the Project is to increase the availability and efficiency of the social inclusion of mentally ill persons in order to contribute to the re-socialization process improvement in the Cross Border regions of Latvia and Lithuania. Created and implemented the system for family assistance in order to improve the integration into the society of mentally disordered family members. The experts of the Project partners by the mutual cooperation would contribute that both of these stages would be sufficiently effective, complementary and long-term. The innovative approach of inclusion measures is illustrated by using of such methods like a “Case Management”, active involvement of patients’ family members, and the parallel implementation of the social psychological supportive assistance during the treatment period and after the return of persons to families and into society. There will be held 3 methodical meetings, 4 experiences sharing seminars, in which 42 employees of both hospitals (21 from each) will increase their qualifications and acquire new skills needed for the provision of the occupational therapy (restore of lost skills), social rehabilitation, psychological counselling services, involving of patients’ family members and society into a process of the social integration of mentally ill people. In Rokiškis Psychiatric Hospital will be repaired and installed workshops on wood work, weaving and ceramics, and in Daugavpils Psychoneurological Hospital – the Center for Social Inclusion of Families, purchased the necessary equipment for the provision of services. It is expected that at least 160 patients and 120 family members will benefit from the Project every year.